urbn; interaction. design studio. Our projects. mijn - this is mine! Have you been sharing a bathroom with your family and all have towels in the same colorscheme? Lost your bathrobe in a spa, because it looked like someone else's? Well then you should have a look at mijn since those clips will make life a lot easier. So hurry and have a look at mijn's crisp website that we have done and order the mijn clips right there. We had the chance and challenge to build all the Flash-work and motiondesign for the whole site. The challenge on our side was that videos and trailer contained footage from the bands that they were producing while we were already editing them to ensure that the site shows of the newest content instantly. The 'Beck's it!' web page delivers complete information about the Beck's design award. However, we developed and added a viral tool to the page. 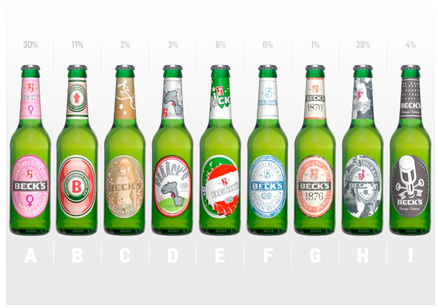 It is an advanced application that makes it possible to build your individual Beck's label in just a few simple steps. The winning presentations from Beck's fashion/product design award were presented on several trade shows and other locations to promote the innovative work from the design youngsters. To present the nice work we developed a small touch screen application that was beautiful design by BurningBlueSoul. To promote the latest piece from iGuzzini - the super flexible LED light called PizzaKobra - MetaDesign suisse asked us to produce the microsite for that innovative lamp designed by Ron Arad. The page is a five language piece with smooth animations, movies and interviews. 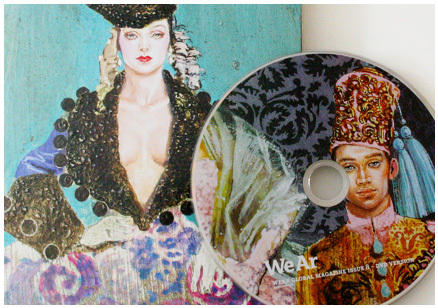 WeAr Magazine is an international highly acclaimed fashion magazine, for which we got commissioned to build a dynamic DVD. In favor of the fashion industry we provided huge high-resolution images, new commercials and a "work path" that helps to save images, zooms and other features from the DVD. 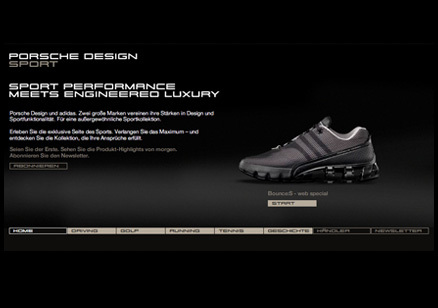 We build the Adidas Porsche-Design collaboration site together with Neue Digitale. The main requirement was to illustrate the speed and crispiness both companies are famous for within the interaction and general behavior of the site. 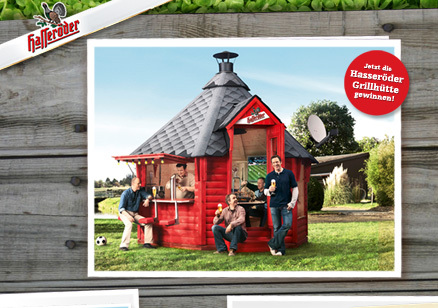 The bbq-time is coming really fast, so if you want to be prepared like a pro we recommend to get the "Hasseröder Grillhütte". 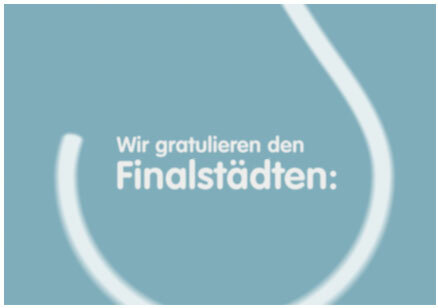 You can win that tentlike house at the newest microsite we have done for Hasseröder. 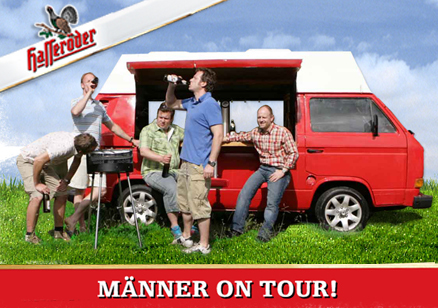 We did this site that features the 'Hasseröder Jungs' and show-cases how guys spend their time... It features two games (next to the possibility of winning the car): first a "Pimp Your Bulli" game where users can design their own bus and secondly a tap game where users can pour beer from the tap as fast as possible. We got commissioned by McCann Ericsson to work on this website. In almost no time we had to create the complete website based on a few sketches. 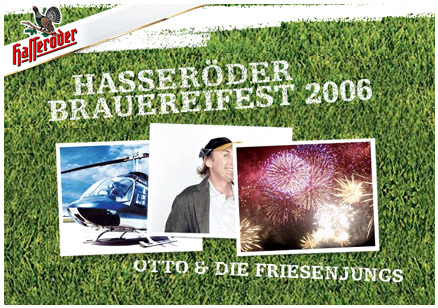 However, it seems as we did the job pretty ok, so we managed to work for Hasseröder in cooperation with AStraCo for quite some time now. Once a year Hasseröder brewery opens its doors to everyone and shows one of the most technical advanced places where beer is made. There is a party with major German acts and other highlights – did we mention fireworks? We have heard that they provide some freebee(r)s too. We build the Flashpart for one of the best German TV-movies in 2006. Based on childhood memories of actor Michael Degen the movie describes the breathtaking struggle how to survive as a Jewish boy in Berlin around 1940. We transferred the mood of the movie into an interesting but also highly informative website. Within a very short time we designed and produced a trade show movie for Coca-Cola. The movie shows international and local activities that Coca-Cola is hosting. We design the promotional material for nugg.ad's UK launch including printed matter, bannering and a nice landingpage that had a viral affect and turned out to be a huge success. 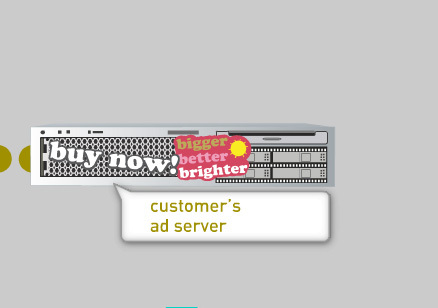 We made a flashtour that presents main aspects of nugg.ad's behavior targeting solution. The tour discribes how surf-behavior gets analyzed, merged with survey results and how finally a profile is generated to then allocate specific advertising media to the user. Sounds confusing? Well, check the tour and you will be enlighted. 'Everything should move fluidly', that was pretty much everything about the given brief from Neue Digitale when we started this project. We followed that idea, using all the given (art) pieces that needed to be included in our animations and designs. It turned out to be a lot of fun and nice experience involving a lot of people. 'Brain Capital' helps to manage complex structures in large companies in an easy way. We reflected this approach in the design and construction of the website and its demo movies when we got comissioned on this project by Robinizer. Here the viewer can learn the software in very easy to follow steps. We built a mixture of a small slideshow and flashsite that features the latest series of work from artist Jürgen Klein. Featuring large images, racecars and lots of flesh - all in the name of art. This was made in amazing collaboration with BurningBlueSoul. We pitched and designed the first phase of the Yavido website for our friends at Robinizer. Yavido is a new business model for a music channel that covers a wide range of listeners. We developed a look that appeals and is user-friendly to all. We were commissioned by Cobra Youth to produce the design and programmed the general feel for the introduction of a new health drink from hohes-C. The drink has a slim, modern approach and in the same way we build the design and animations for this micro site. 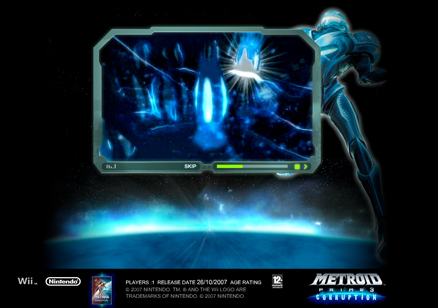 One of the best selling ego-shooters is the Metroid saga. The last part of the series is also the first one that's ported to Nintendos wii console. We were commisioned by Neue Digitale to build the whole microsite which included eight different language versions and a special wii version that is accessible via the consoles own browser. For the music plattform-competition-network Musicnation we developped a range of promotional material. Next to a successful banner-campaign and a landing page that we have done in collaboration with BurningBlueSoul, we developped a webisode featuring chatterbox number one Sarah Kuttner who comments some participants in her own words. Lot's of fun. In contrast to the rough materials (e.g. felt) Hut-Up is using all products that are equally beautiful as well as color and playful handcrafted and designed. For several years now we are commissioned to take care of and work with and for Hut-Up's website. We just published a three language (german, englisch and chinese) Flashapplication that we were commisioned to work on by Interactive Tools. The special is about the 50th year of production of VINNAPAS, a substance that is in so many products that anyone has contact with it at least once a day. The design we did uses a lot of large images and the special itself works pretty much than an imagemovie than an usual special. We are proud to say that some of our work is (again) published in the newest edition of the best book about contemporary logos: Tres Logos. This is truly one of the most important books about typographic, stylish and nice illustrated logo design. Go on you should buy it. Now.